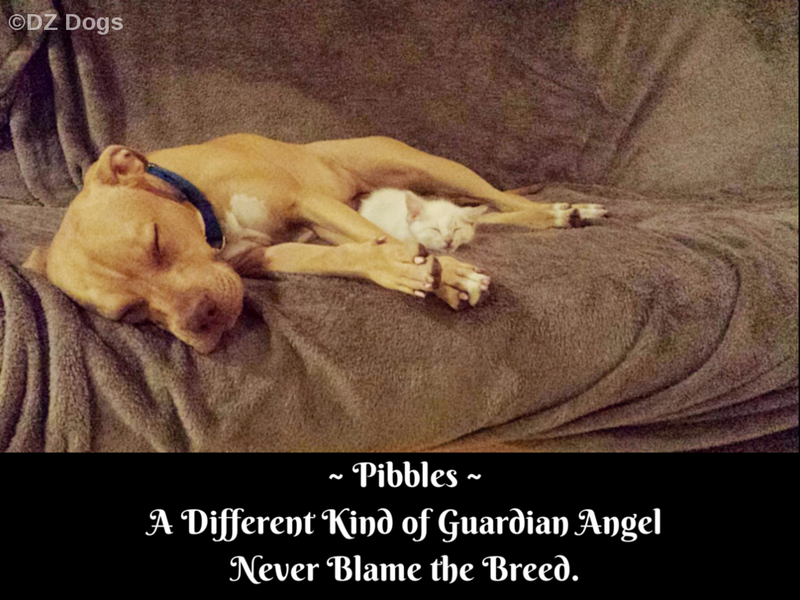 of the most often recurring myths surrounding Pit Bulls. as well as your common "mutt". For the purpose of this post I am going to use the term "pit bull". Generally speaking I prefer to call dog's by their actual breed name if possible. For mixed breeds that would generally fall under the category of "pit bull" I prefer to call them as "bullies" as it is a more accurate description based upon breed history. This myth has been around for a long time, no breed of dog has "locking jaws" it is physically impossible. The jaws of a pit bull are no different than that of any other breed of dog, except in skull shape. According to Dr. 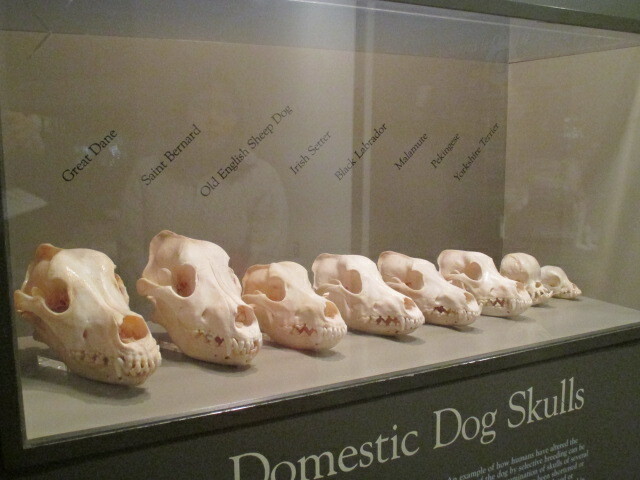 I. Lerh Brisbin of the University of Georgia, "...studies which have been conducted of the structure of the skulls, mandibles, and teech of (American Pit Bull Terriers) show that, in proportion to their size, their jaw structure and thus its inferred functional morphology, is no different than that of any (other) breed of dog." The American Pit Bull Terrier has a terrier history, this vast breed of dogs were used for hunting and bred for their prey drive and desire to work. Like any hunting breed, pit bulls generally speaking - have a high prey drive compared to some other dog breeds. This does not mean that they can't be around other animals. 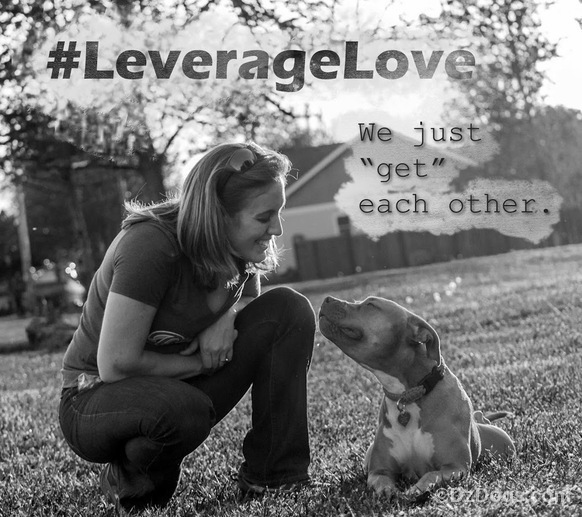 With proper management, and supervision, they can happily learn to co-exist and love their non-doggy family members. Most dogs will chase cats, pit bulls are no exception. However just as their are pit bulls with high prey drives, their are also pit bulls with low prey drives. It's about knowing your dog, and picking the right dog for your family in the beginning. For Ziva's story of how we worked with her prey drive issues click HERE. In all dog breeds, tolerance levels vary from dog to dog. Most well socialized pit bulls fall in the middle of the spectrum. "Dog aggression shows up in numerous breeds, and it's generally "no big deal" unless you deny it, misunderstand it or exploit it...Our job as responsible stewards is to keep our pets out of those situations by reading their body signals and understanding their individual limits." 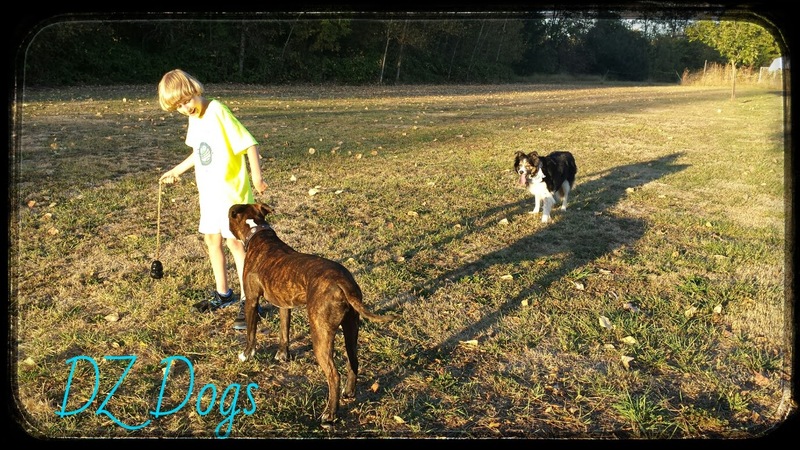 (lanecounty.org) Generally speaking pit bulls tend to be social butterflies in the dog world, they love going places with you and meeting other dogs. Being a very confident breed however they can be pushed to fight with another dog to maintain order or if they feel threatened. 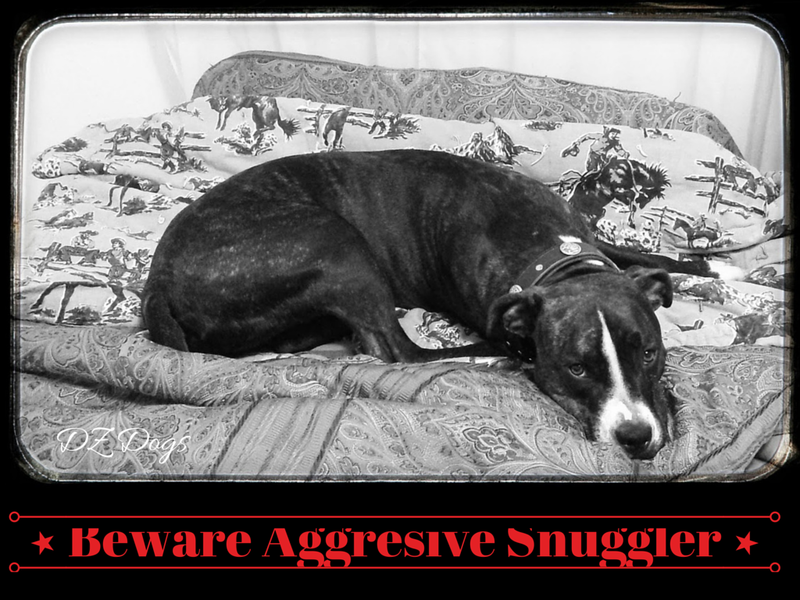 It is also very important that you socialize them and watch play carefully, most pit bulls and other bully breeds tend to play rough which when matched with the wrong playmate play can escalate and result in conflict. As with all doggy interactions a proper introduction and knowing your individual dogs are the key's to success. It's important that when adding a second pit bull to your established family pack that you consider the different personalities and look for a good match. For doggy play dates, pit bulls can get along with each other just fine so long as they are properly socialized to begin with, and are politely introduced to one another. It's then up to you to supervise and call breaks if playtime gets too rough. A lot of dogs including pit bulls have scars (it's just easier to see on a pit bull due to their short coats) for lots of different reasons. Many people crop ears to get a certain look, or for tradition. Another reason to crop dog ears is to help out with ear infection issues. I knew of a dog who had chronic ear infections, this means the dog was constantly in pain and having to deal with medicinal ear drops. Chronic infections can also result in hearing loss over a prolonged period of time. In this particular case, the veterinarian recommended cropping the dogs ears to see if it would help prevent infections. End of story? It worked! No more chronic infections. When looking to adopt, don't just assume about a dog's history because of their ears. Even cropped eared dogs need loving homes! And in turn, don't judge an owner if their dog happens to have cropped ears, it's possible that the dog already had cropped ears when he was adopted. Absolutely UNTRUE. Dogs do not just "randomly" act out. There are always reasons for behaviors and aggression. A well balanced, socialized, and trained dog will never turn on their owner. However mis-handling, lack of socialization, or misreading dog behavior can lead to bites. Pit bulls like any other breed exhibit warning signs, raised lips, showing teeth, tenseness, hackles, and noise. It's important to know dog body language, and have a healthy relationship with your pet. If your dog for example has food aggression issues it is important that you deal with it, and not allow it to escalate as this is how a bite can occur. Also knowing your dogs individual limits, some dogs get emotionally tired or overstimulated when around huge groups of people and need a break/safe place to go relax and be left alone, hence knowing your individual dog and proper socialization/training make all the difference. Pit Bulls have the same nervous system as any other dog breed and they can and do feel pain. However they are a stubborn breed and have been known to tolerate/ignore discomfort to finish a task. Domestic Dogs: 320 lbs of pressure on average. The APBT had the least amount of pressure of the 3 dogs tested. FALSE. This is just a fad and dog description. Pit bulls were traditionally bred for performance, color was not high on the list of priorities. Pit bulls come in almost every color genetically possible for dogs. In tests done by the American Temperament Test Society, pit bulls had a passing rate of 86.8%, Golden Retriever 85.2%, Chow Chow 70.9%, Chihuahua 69.8%. Bite statistics are hard to accurately attain, first reason "pit bull" is a vague umbrella term referring to many different dog breeds it's a LARGE category, second many people do not report the bites of small dogs. Myth #13: It's Not Safe To Adopt A Shelter Pit Bull Because You Don't Know Their Background - It's important that when you adopt a dog you take some time to be thoughtful and know what you are looking for in a new dog, as well as what personality will best match with your family. 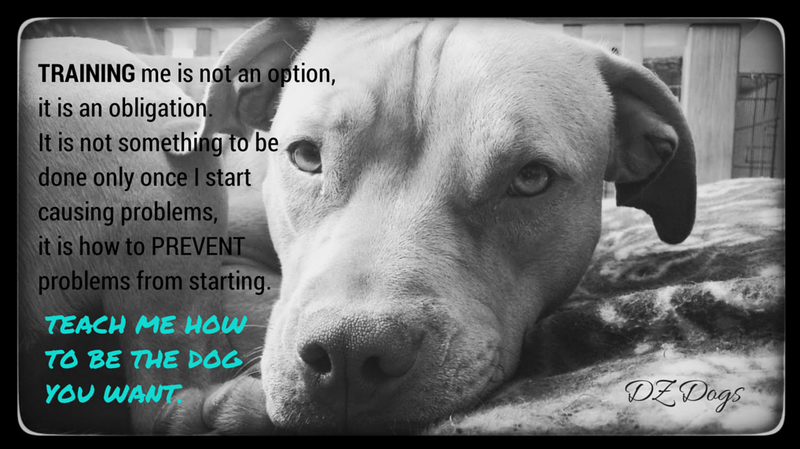 All dogs including Pit Bulls should be judged by their demeanor and personality, most programs also offer evaluations specific to each individual dog that will let you know if the dog has "dog problems", or has a high prey drive. To have a successful match in picking out a new dog you need to consider your activity level, how much exercise will the dog need, will the dog get along with other pets in your house, age, gender, etc. It's wise to wait for the dog that meets your needs as opposed to adopting a dog that you can't handle or is beyond your training capabilities. 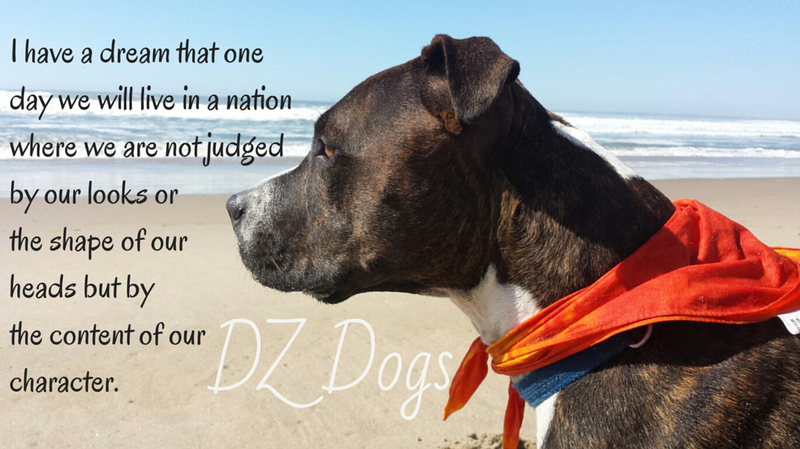 Their is no evidence to show that breed-specific laws make communities safer. Breed Specific Legislation is costly and hard to enforce. More on Breed Specific Legislation and why it doesn't work HERE. National Canine Research Council - "Fear vs. Fact"
Even people that love pit bulls still say things like, "locking jaw", and "strongest bit force", etc. People are just uninformed. Even some of my family will spout off this BS like it's a known fact. So frustrating! I try to be positive and gentle in correcting and informing people, but it's hard with all the negative stereotypes and media attention that gets around. I have heard all of these myths and then some! Yet every single pittie I have ever met has been an absolute sweetheart. Hopefully all of this anti-pit mania dies down soon :( Sharing! Thanks Chelsea!! Please do share! What a great post this is in setting the record straight. I've heard of most of those myths and wondered if they were all true or not. Thanks for the great education. Thanks so much for joining the Barks and Bytes hop. I was on vacation last week and am just now catching up. Very interesting information. I think the main problem that I have with pitbulls is that a lot of rescues treat pitbulls like any other breed but they aren't. They may not be worse than other breeds or mixes, but the people adopting these dogs need to know that they have a different temperament than say a golden or a lab. You point out a lot of things that I don't think are always explained to potential adoptive families and when they aren't then there is trouble. Because they are strong dogs, the trouble can be big trouble. For example, I know of a case within the last year. Group of three guys sharing a house. One guy agrees to foster 4 pitbulls because there was no where else for them. One day pitbulls get in a fight. The guys try to break it up and two of the guys end up in the hospital. I think a dog or two was euthanized. Now what kind of pitbull rescue would place those fosters? You might get away with that with goldens, not with chessies and apparently not with pitbulls. That's terrible! But unfortunately this type of thing happens all the time. Human error was at fault in that situation and the Rescue is to blame. 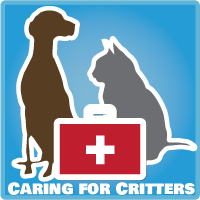 A good rescue would have carefully screened before fostering out dogs, and 4 dogs is way too many unless you are a professional and have lots of experience. Placing 4 pitbulls of differing personalities, with inexperienced dog handlers is a recipe for disaster. Bully breeds need lots of exercise, structure, and strong leadership. Good rescue groups are careful in selecting potential families for their dogs, they are honest and open about personalities and potential problems. People think they are "helping" the dogs but in reality, ignorance, and lack of understanding kills more dogs than it actually helps. And it goes to adding to their bad rap. It's a vicious and sad cycle. 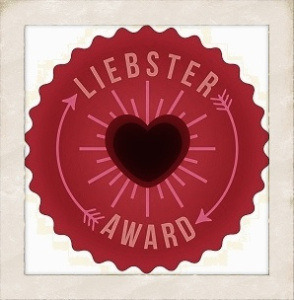 PepiSmartDog: great post! 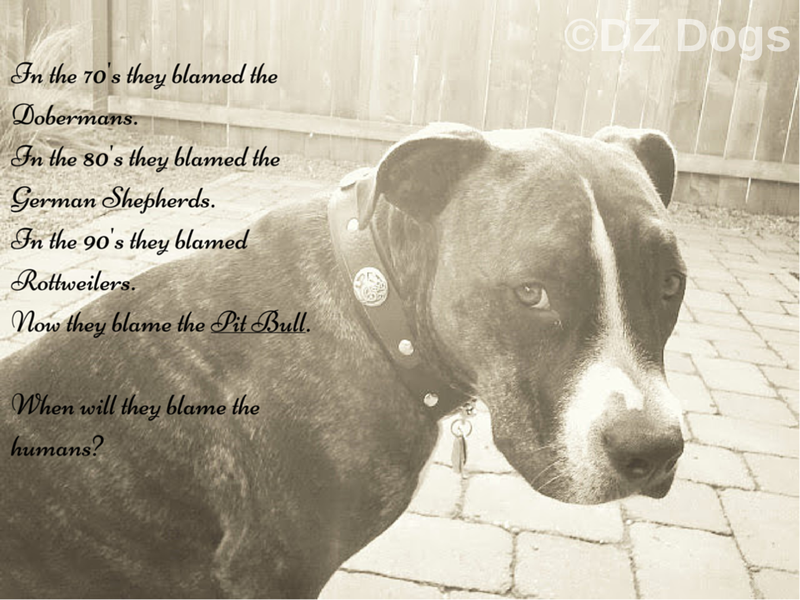 Pit Bulls get such an unfair rap. Maybe another good post would be the crappy way bad humans mistreat Pit Bulls and the cruelty they are forced to endure. 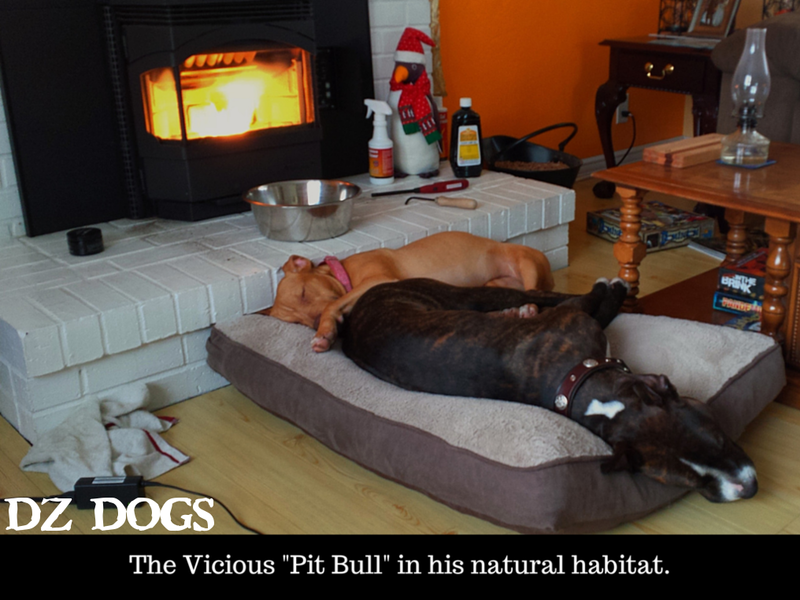 Glad your dogs have you as their voice - Pit Bulls need more positive voices on their behalf.